Designed for safety, comfort and control, the 2016 Ford Taurus has what you’re looking for in a four-door sedan. Innovative technology combines with a focus on efficiency to create a vehicle that checks off all your requirements. Four trim levels all feature seating for five and offer unique amenities to fit your driving needs: SE, SEL, Limited and SHO. Refinement is evident in every curve and angle of the 2016 Ford Taurus. An aerodynamic shape provides enhanced power while the assertive stance makes you sit up and take notice. A Piano Black grille helps create a distinctive look while LED lights brighten your way. Make an impressive exit with LED taillights and a chrome-tipped dual exhaust. Choose the SHO trim for a unique rear deck lid-mounted spoiler. Each trim level features a special fender badge while while power folding mirrors come with blind spot integration is standard. Heated SHO mirrors include approach lights for added security. Add the power moonroof to bring in more natural light while you’re driving. With keyless entry standard on this sedan, you can be on your way in less time. 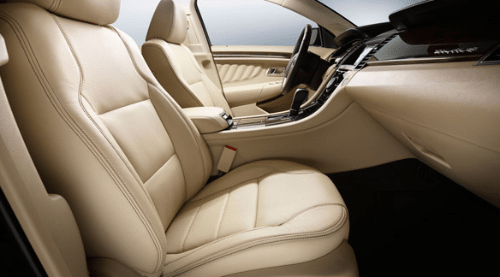 Slide inside the 2016 Ford Taurus for an amazing experience. Available dual-zone automatic climate control and rear seat ducts keep everyone at the optimal temperature. Applique door trim creates a sophisticated appearance while the SHO features a style all its own. Ice Blue lighting for the instrument display offers a refined design while ambient lighting in the cabin is standard on upper trim levels. The message centre keeps you informed with a compass and other valuable information about your vehicle, such as fuel usage, trip metres and warning lights. A remote start system is standard on all models beginning with the SEL while available push button start further enhances convenience. Attention to details ensures your driving enjoyment with features which include a leather-wrapped steering wheel or the optional Alcantara colour-keyed leather option. Convenience comes from amenities such as the power remote release trunk lid which is standard for all trims and the universal garage door opener with the Limited and SHO. Get comfortable with the available 10-way power driver’s seat and available heated and cooled front seats. Multi-contour with Active Motion and two memory settings for the driver ensure optimal comfort on long drives. Rear passengers will appreciate the available heated second row seats while split folding seats enables you to have more room when it’s cargo instead of people you take with you. Create your own sense of style with the unique interior on the SHO with leather-trimmed seats and Miko suede inserts with SHO embroidery, aluminum pedals, and floor mats with SHO embroidery. SYNC is standard on the SE and SEL while you can upgrade to the new user-friendly SYNC 3 for other trims on the 2016 Ford Taurus to provide for your infotainment needs. Always know where you’re going with the voice-activated navigation system. Listen to your music in style with the available audio system from Sony with 12 speakers and surround sound or choose from an expanded music library with SiriusXM satellite radio. Bluetooth connectivity ensures you stay in touch even when you’re on the go, and it even enables wireless streaming for more entertainment options. Customize your ride with special Ford accessories for the 2016 Ford Taurus. Upgrade to fit your style with special seat covers and floor mats or replace an item like key fobs. Protect your sedan with add-ons like splash guards for the front and rear, side window deflectors and a moonroof deflector. Add style with sport pedals and rear spoiler while the cargo net improves functionality. With numerous options available, you can select the accessories that provide the right solutions for your needs. 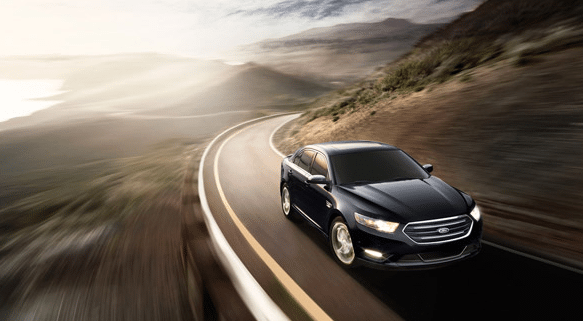 More choices mean better performance to fit your needs with the 2016 Ford Taurus. 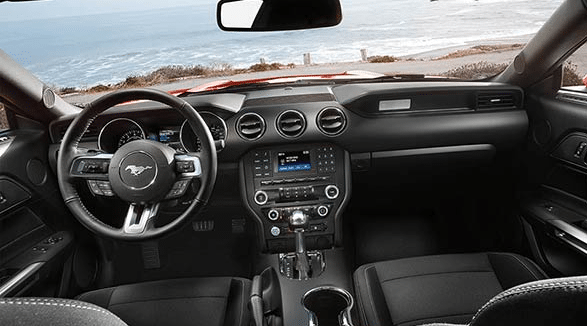 You have three engine options, including two EcoBoost engines and the ability to go with either front-wheel or all-wheel drive. No matter which options you choose, you can count on impressive fuel economy and smooth handling to lead the way. A six-speed SelectShift automatic transmission offers exceptional control. This sedan comes with an independent suspension system for all trim levels and active grille shutters with the 3.5L and 2.0L EcoBoost engines for enhanced power and efficiency. Enjoy fantastic power and superb value with the 2016 Ford Taurus. Feel secure when you get behind the wheel of the 2016 Ford Taurus with numerous safety features designed to protect you and your passengers. Added security for the 2016 Ford Taurus comes from the exceptional Ford warranty. Every journey is more enjoyable in the 2016 Ford Taurus. With a focus on performance and efficiency combined with driver and passenger comfort, you’re never in a hurry to arrive at your destination. With this stylish sedan, half the fun is just getting there. 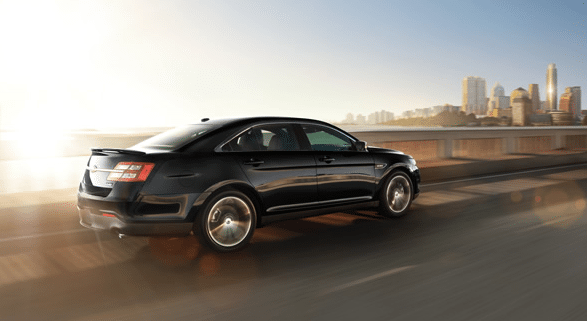 Check out the 2016 Ford Taurus at your local Okanagan Ford Dealer – Watkin Motors Ford. When you purchase a brand new or pre-owned Ford model from ﻿﻿Watkin Motors Ford﻿﻿, you can rely on the unbeatable service of a knowledgeable team. Stop in today and drive home your favourite model!